STRATAS is short for “Interfacing structured and unstructured data in sociolinguistic research on language change”, a research project funded by the Academy of Finland Digital Humanities programme 2016–2019. It is a collaboration between computer scientists, visualization specialists, and language historians who study the development of English and Finnish over time. The project focuses on sociolinguistic variation, change and innovation in private writings. Handwritten materials such as personal letters give us access to the lives and language of individual people and so complement the public, printed sources that are more readily accessible to linguists and historians. Private writings are also embedded in a rich sociolinguistic context. However, from a computer science perspective they pose a challenge: current tools do not provide an easy way to combine texts with metadata on, for example, the writers’ social status. STRATAS will create modular open source tools that enable researchers to interactively explore the social embedding of language use by combining texts, metadata and visualizations. 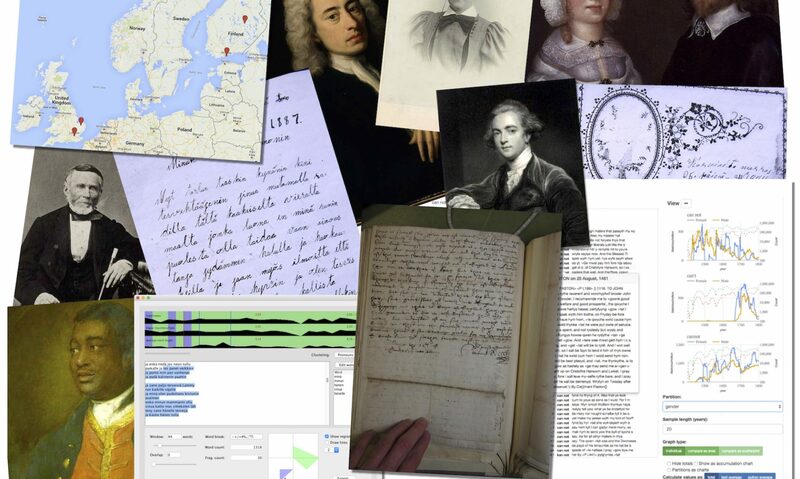 The toolkit will be created in conjunction with a larger set of tools for digital humanities, currently being developed in international collaboration. Insights from STRATAS can inform broader developments while the project gains ready-made modules and functionalities for data integration, visualization and exploration.